The strength, hardness, and modulus of elasticity of magnesium-base materials decrease with increasing temperature. Also, the elongation increases with rising temperature up to just below the melting point where it drops to nearly zero. Some magnesium alloys have been developed recently for use at moderately elevated temperatures. These compositions make possible the utilization of magnesium alloys under load at substantially higher temperatures than formerly. In projecting applications of magnesium alloys at elevated temperatures, the tensile and other mechanical properties at the particular service temperatures must be considered. On account of their relatively low melting points, below about 1200oF (650oC), the commercial alloys are necessarily confined to use at only moderately elevated temperatures. As in the case of aluminum alloys, the safe operating temperatures for magnesium alloys are far below those of steels. Depending upon the composition, magnesium alloys begin to melt at a temperature in the range of about 685o to 1200oF (360 to 650oC). The common alloys begin to soften and weaken appreciably on exposure to temperatures as low as 200oF (95oC). However, some special compositions have been recently developed which maintain yield and tensile strength quite well at temperatures up to 400oF (205oC) or higher. The strength, hardness, and modulus of elasticity of magnesium-base materials decrease with increasing temperature. Also, the elongation increases with rising temperature up to just below the melting point where it drops to nearly zero. As indicated, some magnesium alloys have been developed recently for use at moderately elevated temperatures. In several of these the principal alloying ingredient is mischmetal; other additions may include manganese or zirconium. These compositions make possible the utilization of magnesium alloys under load at substantially higher temperatures than formerly. 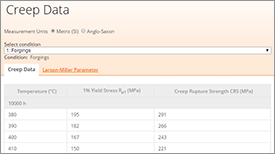 Creep and stress-rupture data are important in considering magnesium alloys for various high-temperature applications. Test results giving these data for a number of alloys are available. Under conditions where creep may arise (static loading at elevated temperature), it is useful in design to compare with the yield strength and tensile strength, for the temperatures of interest, the stress for a certain deformation or the stress-to-rupture under creep-loading conditions. 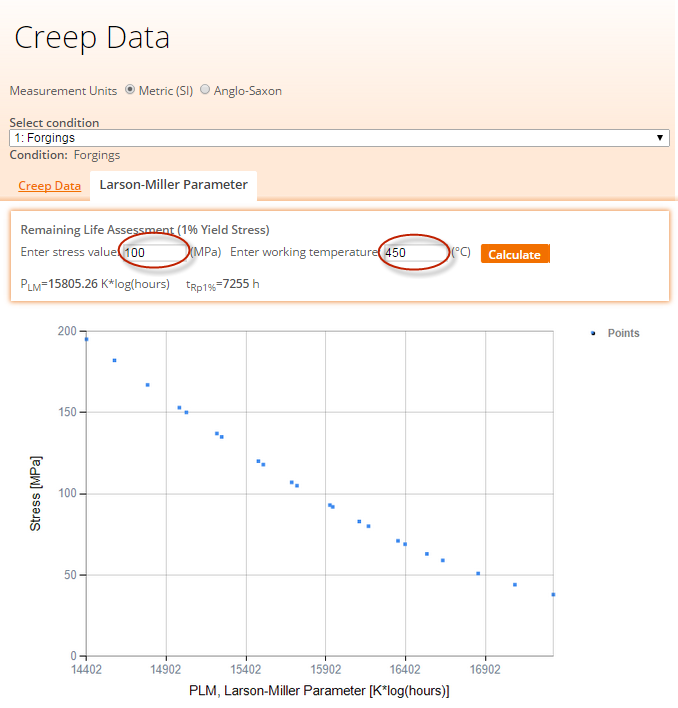 Creep data may be used in a comparative and qualitative way. The usual commercial magnesium alloys of the aluminum-zinc (manganese) type are relatively stable up to about 300oF (150oC) and may be used for some applications below that temperature. Solution heat-treated castings and hard-rolled sheet in the usual alloys are unstable above 300oF (150oC) and are not suitable for use at elevated temperatures. As indicated, the ordinary magnesium-base materials used for castings or for wrought products have comparatively poor strength and poor resistance to creep at elevated temperatures. Investigations have shown that the addition of rare-earth metals, in the form of mischmetal, to magnesium will yield alloys that retain much of their strength at elevated temperatures and exhibit relatively high resistance to creep over a wide range of temperature. 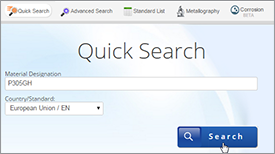 For brevity, mischmetal is hereafter referred to as MM and the associated rare-earth metals as RE. Tests have shown that various zinc-bearing magnesium alloys containing also, for example, small amounts of zirconium or manganese exhibit good resistance to creep at elevated temperatures. This refers to compositions for sand casting. Among these alloys ZK61 and ZM60 may be mentioned. They have higher creep resistance than AZ92 and AZ63 alloys but lower than the RE-bearing alloys. Also, these zinc-bearing alloys have good tensile properties at both room and elevated temperatures. Investigation has been made to determine which of the elements in MM contributes the greatest effect in developing high strength and high resistance to creep, at elevated temperatures in the case of cast magnesium alloys. This showed that considerably higher properties at elevated temperatures can be developed by didymium (neodidymium plus praseodidymium) and by cerium-free MM than by MM. The rating in order of decreasing tensile and compressive properties at room and elevated temperatures is as follows: (1) Magnesium-didymium; (2) Magnesium-cerium-free MM; (3) Magnesium- MM ; (4) Magnesium-cerium; and (5) Magnesium-lanthanum. Magnesium-didymium alloys do not maintain their superiority in creep resistance over the other alloys at 500 and 600oF (260 and 320oC). 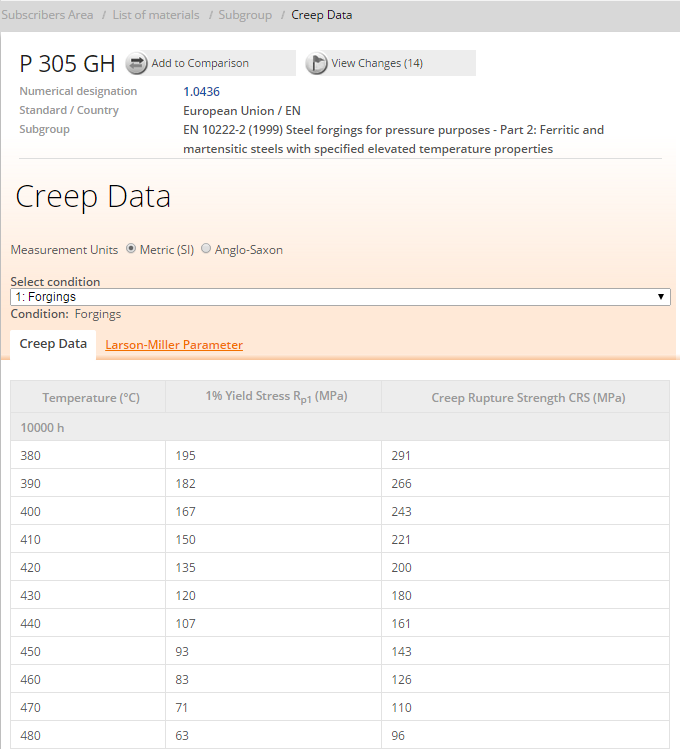 The highest creep resistance over the entire MM composition range at these temperatures is exhibited by the cerium-free MM alloys. 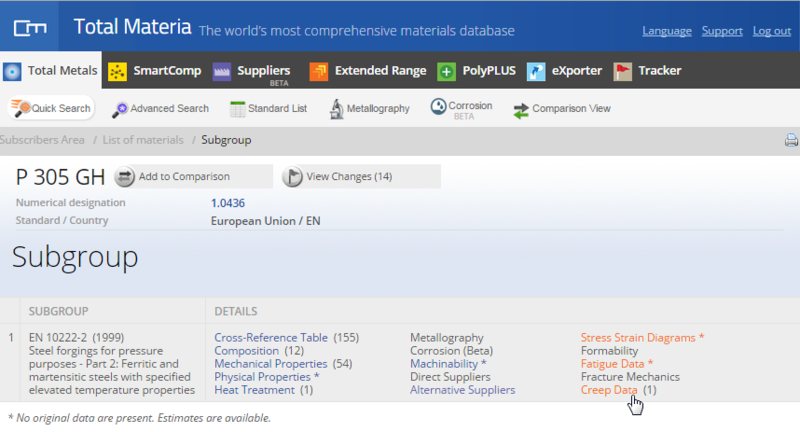 High lanthanum alloys have exceptionally good creep resistance at 600oF (320oC). In a recent investigation, the attempt was made to develop a magnesium casting alloy, based on additions of MM plus other metals, with optimum tensile properties at elevated temperatures and minimum creep. Of 350 alloys tested, the best properties were obtained with the following composition: 6 per cent MM, 0.8 manganese, 0.2 nickel, 0.02 per cent tungsten, and remainder magnesium. Other recent investigations have shown that additions of thorium to magnesium yield alloys with the highest creep resistance up to 600oF (320oC) of any magnesium alloy standard to date. Also, additions of zirconium to thorium-bearing alloys refine the grain without impairing the creep properties at elevated temperatures. An investigation was recently carried out to develop a magnesium alloy, for wrought products, having optimum mechanical properties at elevated temperatures. Of about 195 alloys tested, the following composition was found to give the best combination of values: 2 percent MM, 1-1.5 manganese, 0.2 per cent nickel, and remainder magnesium. The selection of an alloy for applications requiring high creep resistance must take into consideration the temperature to be encountered as well as the level of stress. In the use of cast magnesium alloys it has been suggested that service conditions be divided into three ranges of temperature. These are as follows: (1) Up to 250oF (120oC); (2) from 250o to 400oF (120oC- 205oC), approximately; and (3) above 400oF (205oC) or perhaps 450oF (235oC). This division would allow the use of certain alloys in the lower range, although their creep resistance is relatively poor at higher temperatures. At the same time, advantage would be taken of their relatively good mechanical properties at room temperature and their satisfactory castability. Alloys ZK61 and ZM60 fall into this category. For the highest temperature range, alloys with the best creep resistance may be requisite irrespective of their mechanical properties at the ordinary temperature or their foundry behavior. The ranges of temperature given also apply in the case of wrought compositions. The structural or metallographic condition having the maximum resistance to creep at elevated temperatures is produced by means of suitable heat treatment. This varies with the alloy composition and the form of the material (whether cast or wrought). The most suitable conditions for resisting creep are T2, T6, and T7. These are effected, respectively, by stabilization of as fabricated (F) products, solution heat treatment and aging, and solution heat treatment followed by stabilization. Some data are available which show the effect of heating magnesium alloys to elevated temperatures on their mechanical properties at room temperatures. Short-time heating at temperatures up to 650oF (345oC), as may be required in forming sheet or for straightening certain products, or as may occur during the service life of a part or structure, effects changes in the room-temperature properties of various magnesium alloys. In general, magnesium-alloy castings used in the as-cast (F) or solution heat-treated (T4) condition gain in yield strength and lose in elongation on heating for a sufficient period of time in the range up to 650oF (345oC). Castings in the solution heat-treated and aged (T6) condition lose in yield strength on such heating. In nearly all cases, the short-time heating of annealed or hot finished magnesium-base products at temperatures up to 650oF (345oC) is without effect on the mechanical properties. The heating of alloy sheet in the hard-rolled temper (H) to 500-600oF (260-345oC) practically results in complete annealing and yields the properties of the soft temper (O). However, this does not apply to M1A-H sheet which softens only slightly when heated to 600oF (345oC) for not more than a few minutes or to 500oF (260o) for not more than 2 hours. Short-time heating of hard-rolled alloy sheet at 350oF to 400oF (175oC to 205oC), as may be carried out to effect moderate forming operations, produces properties intermediate between the O and H tempers. Again, M1A-H sheet is an exception. It is scarcely affected by heating at 350oF (175oC). In general, the yield strength, tensile strength, and hardness of magnesium-base alloys increase more or less substantially with decrease in temperature below zero while the elongation and impact resistance decrease. Also, the endurance limit is raised appreciably as the temperature is lowered. These changes apply to both cast and wrought alloys. The individual effects vary depending upon the alloy composition, temper, condition (whether cast or wrought), and the subzero temperature. As concerns the cast alloys, it appears that the T4 temper is better than the F or T6 temper in behavior at the low temperature of -108oF (78oC). Thus, it exhibits the greatest increase in strength and hardness and the least loss of elongation and impact resistance on cooling to the temperature stated. In addition, the alloys in the T4 temper more nearly assume their original properties on again attaining room temperature. The wrought alloys in the F temper undergo greater overall changes in tensile properties than do the cast compositions on cooling to -108oF (-78oC). 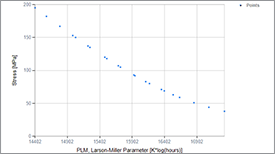 Rather remarkable increases in yield strength and tensile strength are exhibited by the wrought materials on cooling to -320oF (-195oC). The modulus of elasticity of magnesium alloys generally increases at low temperatures. For alloy AZ31 in the form of 3/4-in. round bars, extruded and cold drawn, the following values have been reported: At -13oF (-25oC), 6.36 million psi (43850 MPa); at -108oF (-78oC), 6.83 million psi (47090 MPa); and at -320oF (-195oC), 7.30 million psi (50330 MPa). The increase from room temperature to -320oF (-195oC) was 14.7 per cent. 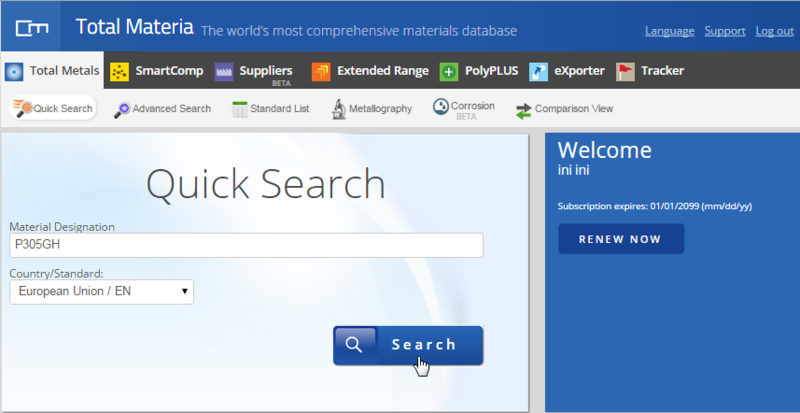 Some data are available which show the effect of low temperatures on the fatigue strength of magnesium alloys. In general, the fatigue strength increases with decreasing temperature. The amount of increase is quite variable depending upon the composition of the alloy, condition (whether cast or wrought), number of fatigue cycles, temperature, and other factors. In one test on forged AZ61 alloy the fatigue strength (300 million cycles, rotating-beam machine) at -104oF (-75oC) was 16,000 psi (110 MPa) as against 15,000 psi (105 MPa) at room temperature. The notch-impact resistance of magnesium-base alloys, both cast and wrought, shows a downward trend as the temperature is lowered. The total change is markedly variable depending on sundry factors.